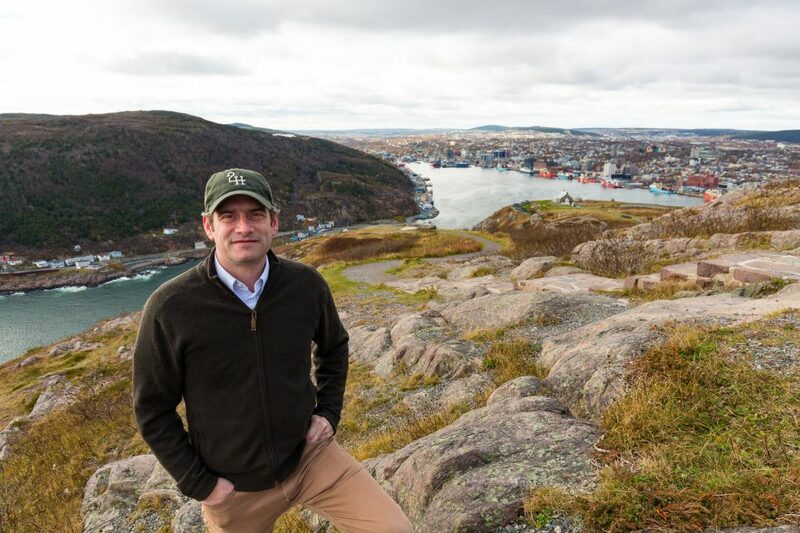 Fresh from preaching the Gospel in the Arctic territory of Nunavut, Canada, Oct. 26-27, Will Graham is taking the same message of hope to the Avalon region of Newfoundland and Labrador this weekend. Baptist, Roman and Anglican Catholic, Pentecostal. Their beliefs may differ somewhat but these denominations, along with eight others in Newfoundland and Labrador, Canada, have united for a common cause—prayer. For weeks, people have packed churches to pray for this weekend’s Avalon Celebration of Hope with Will Graham in St. John’s. The evangelist will share the Gospel, accompanied by testimonies and music from for KING & COUNTRY, The Color, Jason Crabb and George Canyon. Will Graham will share the love of Christ at the Avalon Celebration of Hope this weekend, Nov. 2-4. Graham’s Canadian tour began last weekend in Rankin Inlet, Nunavut, in remote, northern Canada. “There really is a lot of excitement,” said Celebration Director Dion Collins. “It’s very encouraging.” Anywhere from 50 to 150 people have been at each prayer gathering. The Celebration will be held at the Mile One Centre in St. John’s, which is the capital of Newfoundland and Labrador, but churches around the Avalon region have hosted the prayer events. In September, more than 450 people came to pray and worship at a community event called “Momentum.” Attendees offered names of friends and family who needed prayer, resulting in at least 1,500 people being prayed for on a regular basis. 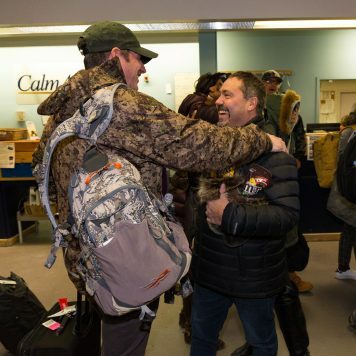 Will Graham kicked off his Canada tour Oct. 26-27 in Rankin Inlet, Nunavut—a small town known as the “gateway to the north,” not far from the Arctic Circle. >> See photos from the first night of the Rankin Inlet Celebration of Hope. >> See photos from the final night of the Rankin Inlet Celebration. As he continues to share the Gospel message in Newfoundland and Labrador this weekend, the evangelist will likely be warmly received. The people of the Avalon region are known for their generosity and welcoming culture. When U.S. airspace was shut down during 9/11, the small town of Gander, Newfoundland, opened its arms. Nearly 7,000 people on 38 planes bound for the U.S. were diverted to the island. For days, locals served weary travelers and befriended them during uncertain times. The story was captured in a book and a current Broadway musical—Come From Away—a reference Newfoundlanders use for travelers. For the Avalon team, reaching unbelievers through the Celebration is personal. The entire office staff grew up in the province, which is somewhat unusual for Celebration teams, according to Dion Collins. “We really have a heart to see this region come to Christ,” he said. “This is our home. This is our province, and that excites the people in our offices to see what God is going to do. 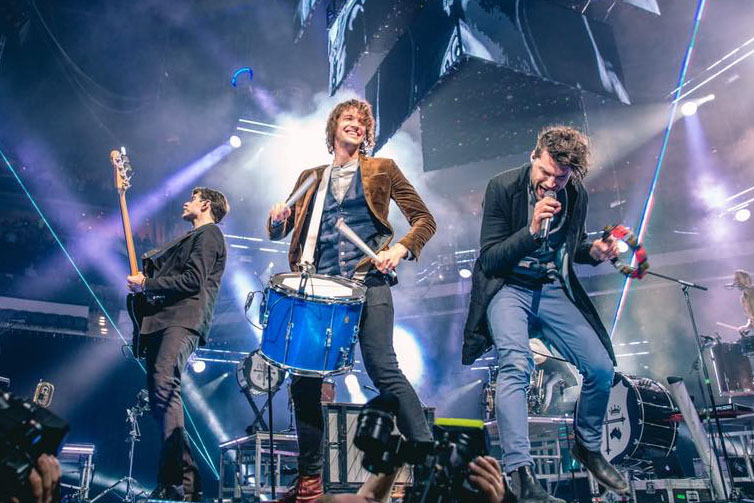 Christian band for KING & COUNTRY shares the Gospel through music and testimonies. The Avalon Celebration is the latest collaboration for the Australian band and Billy Graham Evangelistic Association events. How do you start a personal relationship with Christ? Find out here.